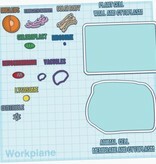 Animal and Plant Cell Construction Kit by mfritz is licensed under the Creative Commons - Attribution license. 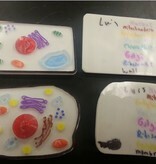 Make a model of an animal or plant cell. 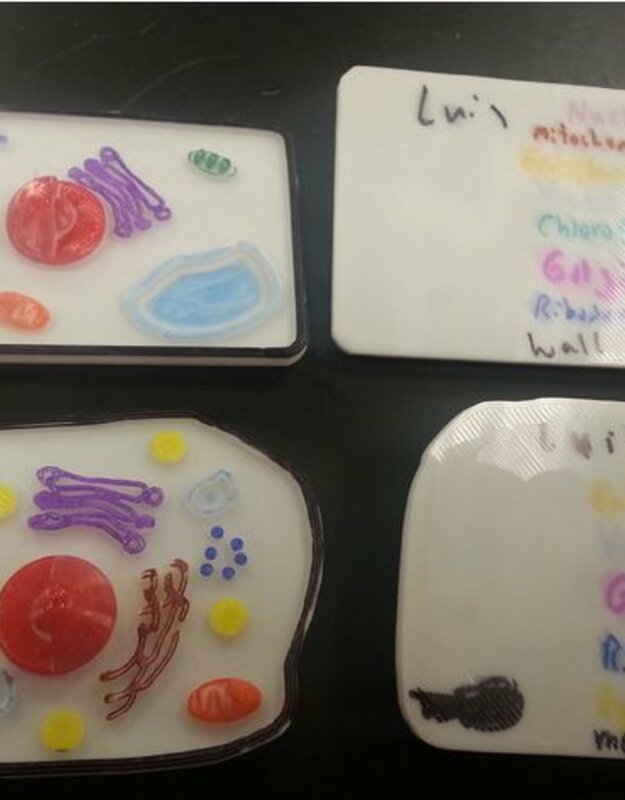 Making models of animal and plant cells is a common middle school science activity. 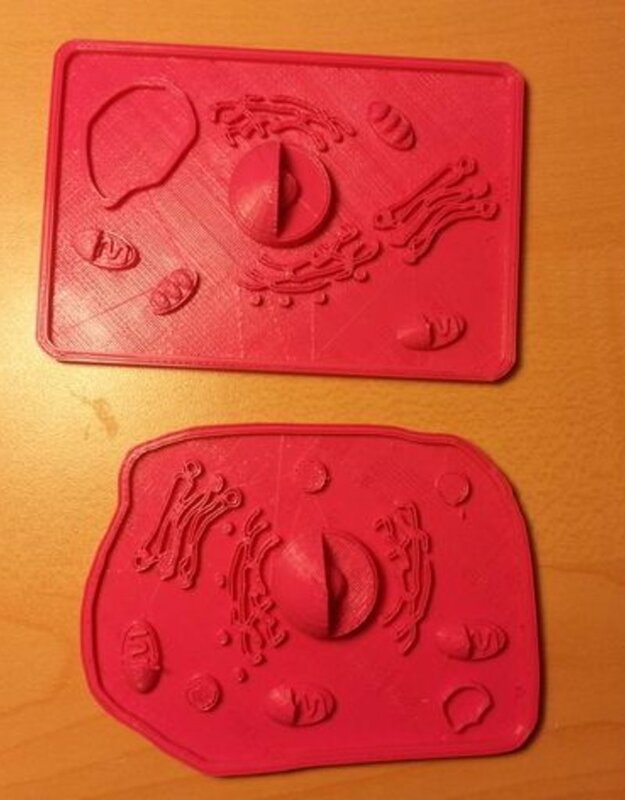 Now you can 3D print your cell model. Customize or remix as you please, put a hole in it and make a keychain, whatever you like. 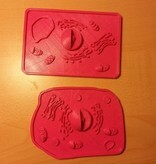 Open the file Animal and Plant cell Construction Kit on Tinkercad.com and you'll have all the parts you need. Or download the parts individually and put them together in your favorite cad program. 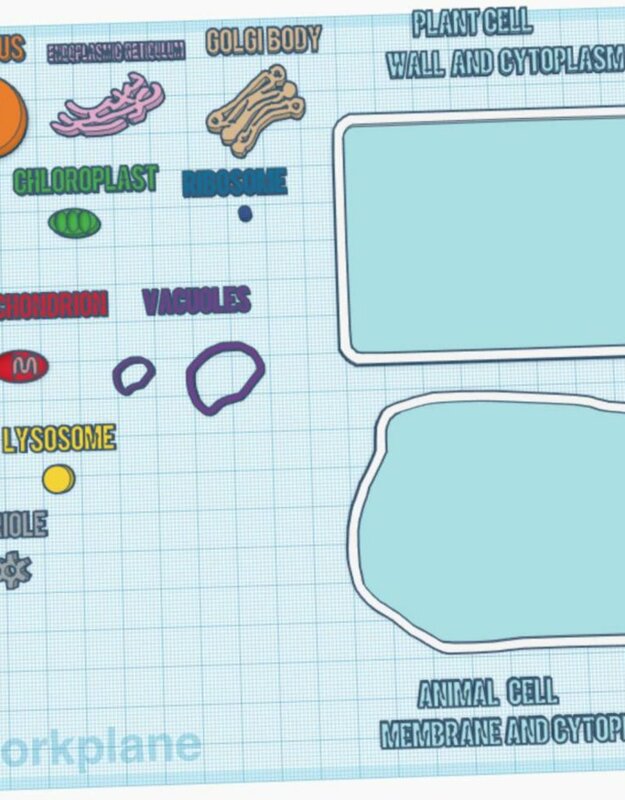 The easiest way for students to build their cells is to search for and open the file Animal and Plant Cell Construction Kit on Tinkercad.com https://www.tinkercad.com/things/4Pc42eJLU5Y. All the parts are in that file and students just need to move them into the correct position and then delete the extra pieces to have a printable model. Students will want to use the arrow keys to help them move parts into the correct position. They will not need to resize the pieces or lift them off the workplane. 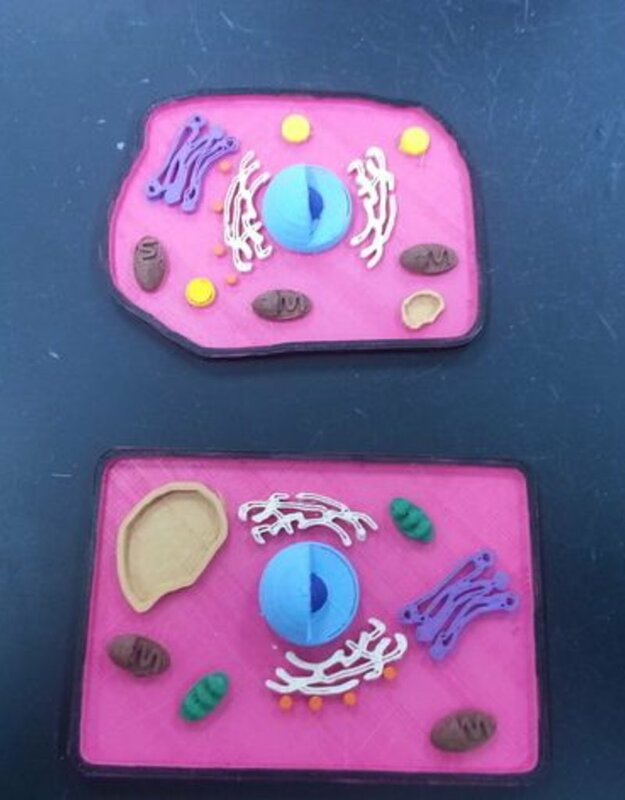 They can copy or duplicate to make extra copies of the organelles, and they can be rotated to add some variety to the lay out. 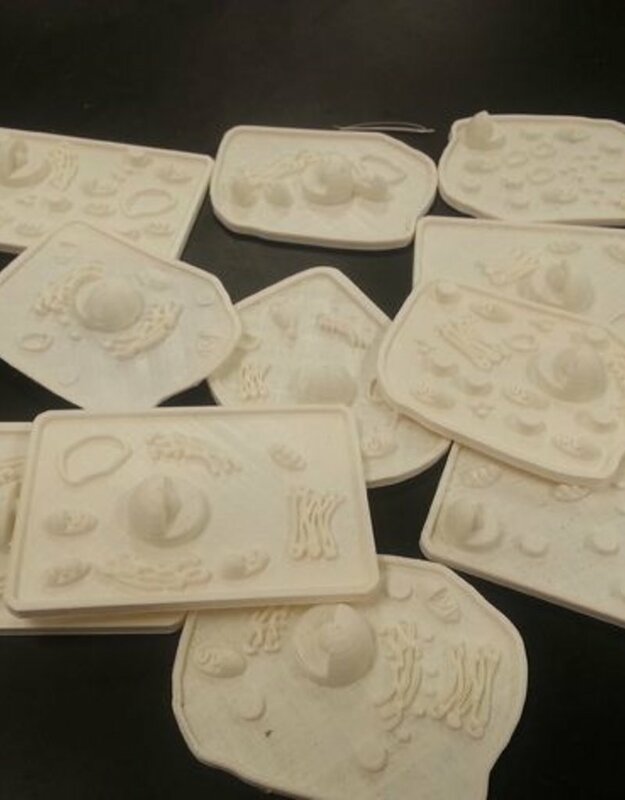 Students will design and print a 3D model of an animal or plant cell, or both. This project is intended for an 8th grade class but could be used for grades 6 - 8. 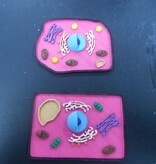 Students should have a basic understanding of the cell, it's parts and their functions. The 3D design process using Tinkercad is relatively easy and would be a good project for beginners. This project was completed as described with two 8th grade classes. 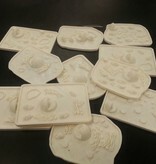 The students were able to create both an animal cell and plant cell during one 45 minute class period. A few students accidentally shifted pieces above or below the workplane, so make sure they check for that before attempting to print models.